Puerto Morelos is a unique community located on the eastern coast of Mexico overlooking the Caribbean Sea. It is considered the gateway to the Riviera Maya, located 15 minutes south of Cancún International Airport and 36 km north of Playa del Carmen. In contrast to all the expansion that is taking place along the coastline, Puerto Morelos will retain its small village atmosphere, due to several factors. The government has declared the reef area and the mangroves, which exist behind the town, ecological preserves. Also, unlike Playa del Carmen (which has sustained major growth over the past 10 years), the lot sizes in Puerto Morelos are small with strict building codes enforced. It is the intent of the locals to keep development to a minimum. 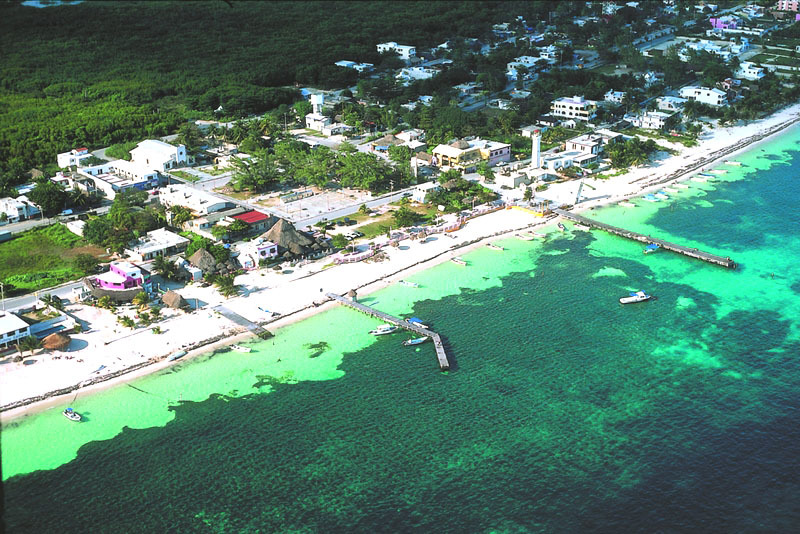 People come to Puerto Morelos to avoid the high prices of Cancun and Playa del Carmen. (See more about this at www.canada2playa.com) So the lay of the town caters to keeping its development much less sprawling that its northern and southern neighbors. The recent history of the town began in 1936 by presidential resolution when the Cooperative known as Puerto Morelos was founded .The demarcation and physical boundaries are delineated in 1944. In the census of 1950 a population of 80 inhabitants was reported. Since then, the city´s formal demographics are estimated as follows. Due to the environment geography of Puerto Morelos (mangrove swamps and coral reef), the human settlements have remained divided along Federal Highway 307 (east and west.) 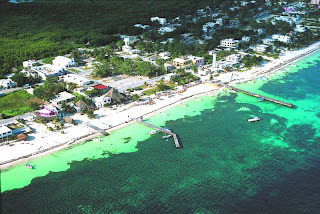 The settlement located on the coast and to the east of the federal highway is known as the "Puerto" or "Old Puerto Morelos". The settlement immediately to the east of the Federal Highway is known as "Colonia Pescadores". The settlement to the west of the Federal Highway is known as " Colonia Joaquín Zetina Gazca. " The new housing zones to the north and west of the Colonia Zetina Gazca are in full population growth: The zona urbana "Luis Donaldo Colosio", the division "Villas Morelos I, the division "Villas Morelos II", and the residential area "Buccaneers". Due to these developments the population in October of 2007 was estimated to be more than 10.000 inhabitants. Investing in Puerto Morelos real estate is an excellent choice. Whether it is primarily for economic gain or you intend to enjoy the small-town feel of what was once a sleepy Mexican village. However, it is necessary to approach the process seriously. With the American Development and Canada 2 Playa team behind you, you can get a good price and avoid any legal hassles.